Thank you for another amazing year!!! WOW! LOVE! 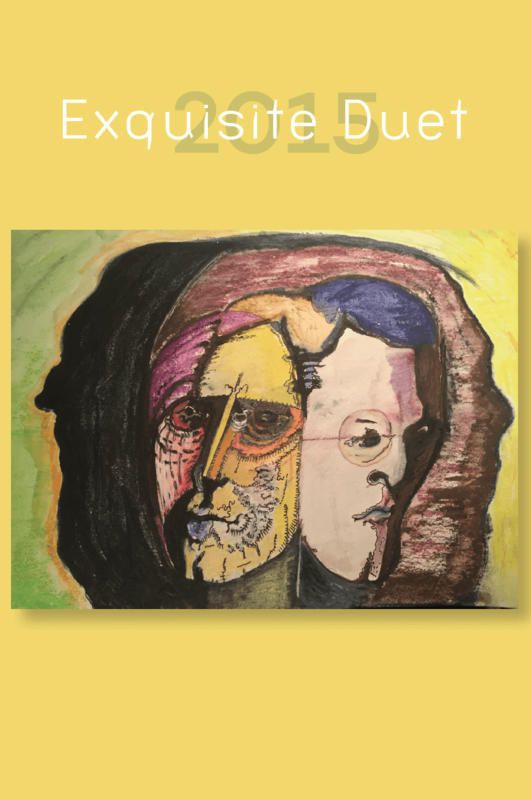 This entry was posted in anthology, Exquisite Duet JMWW, Flash Fiction, poetry and tagged Adam Robinson, Allie Marini, Annie Pluto, Anthology, Brennan DeFrisco, column at JMWW Magazine, contributors, Exquisite Duet, Exquisite Duet 2015 Anthology, Helene Cardona, Jack Cooper, Jen Michalski, JMWW, Karen Stefano, Kate Braverman, Katherine DiBella Seluja, Ken McPherson, Kim Chinquee, Kristine Ong Muslim, Larissa Shmailo, Larry Eby, Margaret Malone, Matthew Tuite, Meg Tuite, Michael Cooper, Myfanwy Collins, Peauladd Huy, Randall Brown, Robert Scotellaro, Rusty Barnes, Sara Henning, Thaddeus Rutkowski, Timothy Green, Tom Hazuka by MegTuite. Bookmark the permalink.